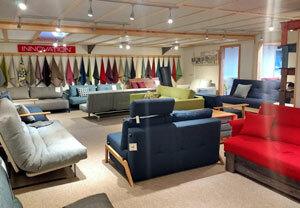 At Sit and Sleep we make an extensive range of futon sofabeds and mattresses here in our Cambridge workshop. 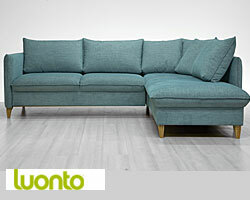 We also stock stylish, contemporary sofa beds from leading international brands including INNOVATION LIVING, LUONTO and PROSTORIA. 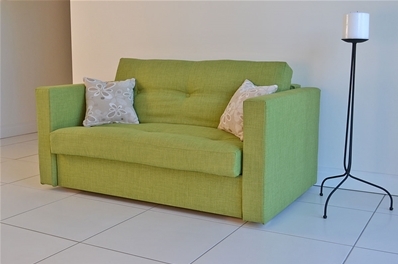 There are over 30 models on display in our factory showroom from across the range and our large warehouse stocks allow us to deliver most models in just a few days. 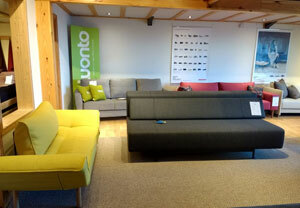 We are the UK’s leading authorised stockist of INNOVATION LIVING Sofa beds from Denmark. 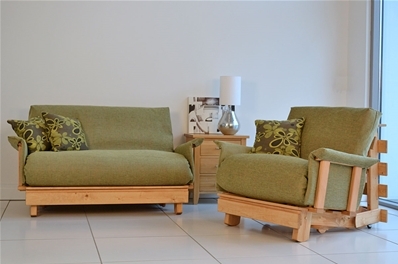 These stylish and comfortable Danish sofa beds are among our top selling products. 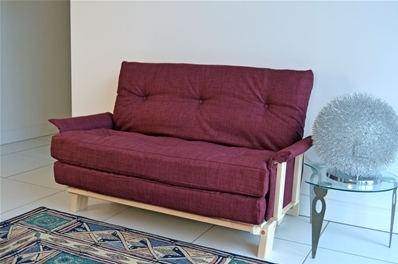 Not only do we have many of their designs on show in our display room, we hold stocks of their most popular models and we can also obtain virtually any Innovation sofa bed to order in the widest possible selection of fabrics. 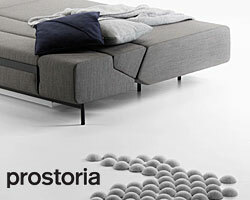 Alternatively for really cutting edge design we offer the amazing sofa beds from PROSTORIA. 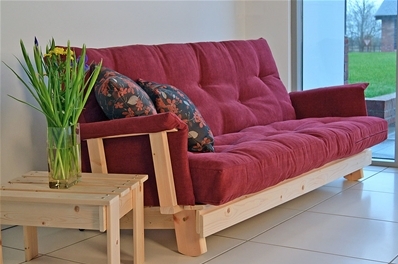 Multi-award winning designs, without comparison made by hand to the highest standards in Croatia. 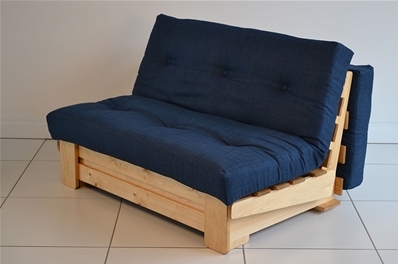 Carefully handmade in Finland. 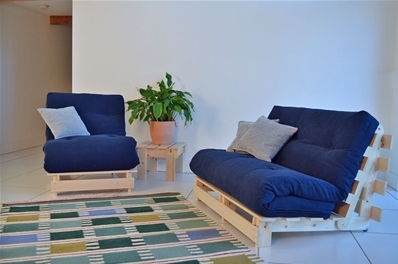 LUONTO pride themselves in not only producing some of the best designer sofa beds available, but in ensuring they do so in the most ecological sound way possible. 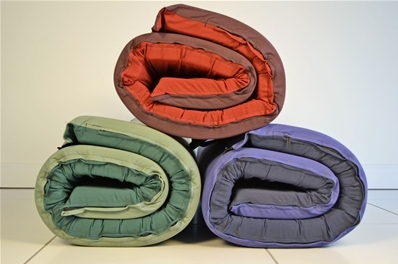 At Sit and Sleep we make our futon mattresess and removable futon covers in our futon workshop just outside Cambridge, We offer a choice of different futon mattress fillings and specifications so you can choose the right mattress for your use and comfort. 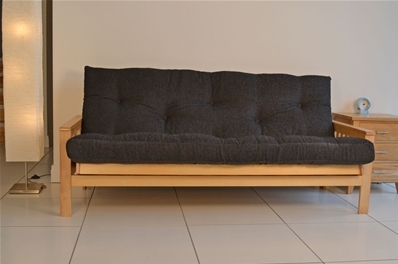 We also have a range of desginer futon bed frames from ToJo and other bed choices.